This hologram is permanently etched into metal. Apple will build future iPhone and other gadgets from Liquidmetal, says a former top researcher at Liquidmetal Technologies, whose technology Apple is licensing. Dr. Schroers is the second high-level executive from Liquidmetal to say Apple has ambitious plans for the revolutionary material. Last week, the alloy’s co-inventor, Atakan Peker, predicted that Apple may use Liquidmetal for a new antenna to replace the problematic part in the iPhone 4. Speaking exclusively to CultofMac.com, Schroers said Apple could create very intricate and beautiful gadget cases by blow-molding melted alloy like glass. 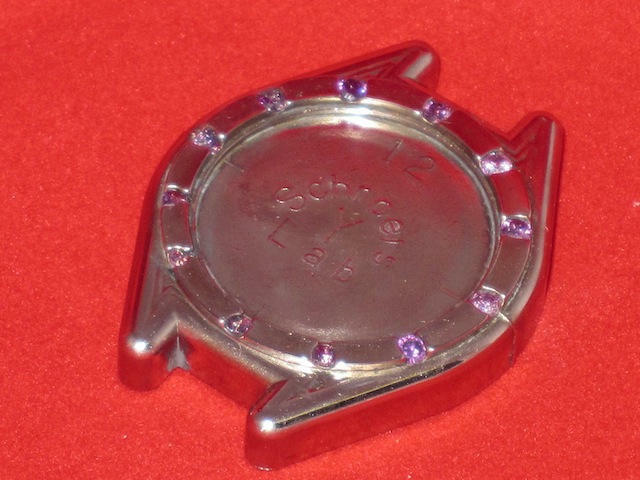 Schroers has created one-piece perfume jars from Liquidmetal using a blow mold (see the picture below). The technology could also create permanent holographic logos that are etched right into the metal, or elaborate patterns that generate color effects. This perfume bottle is made of metal but was blow-molded like plastic. It is completely seamless. Apple of course hasn’t said anything about the deal. But CultofMac.com has learned that Liquidmetal Technologies has been making prototypes for Apple for at least two years. Apple also sourced a SIM card ejector pin as a live test of its manufacturing capabilities, which the company passed. Schroers, who is now at Yale University, said it is likely Apple will invest heavily in commercializing the technology. Apple has a long history of pioneering cutting-edge manufacturing techniques, and its long-standing interest in design makes it likely to explore the material’s capabilities. It could be used, for example, to make intricate gadget cases. 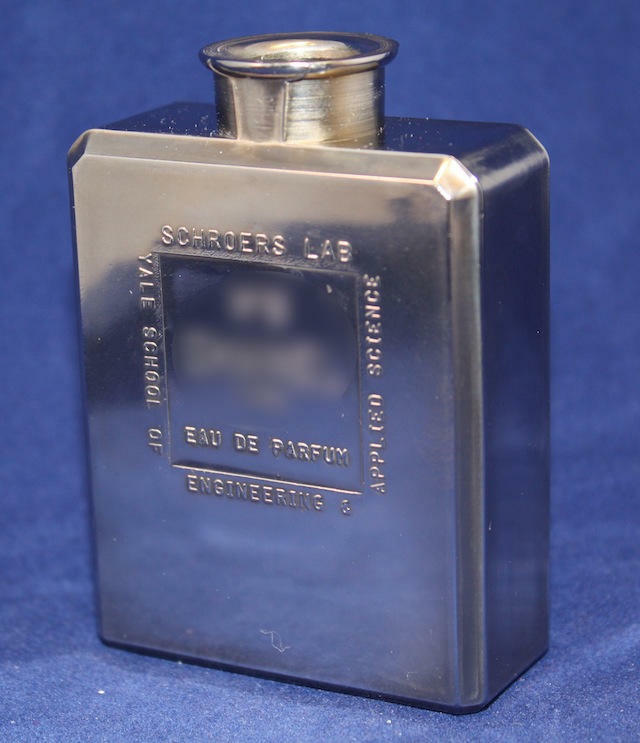 The flask above is a blow-molded container with a wall thickness of about 0.3 mm. It is completely seamless. Schroers said it is trivial to integrate very small features on the surface such as holograms (see image above), patterns that generate color, or attach other materials (see picture below with gemstones inset in a watch). Schroers said Liquidmetal would also make a good material for fabricating the chassis in iPhones, iPads and MacBooks, even large-screen displays. It is extremely light and thin — far thinner than Apple’s current frames — and could be incredibly stiff and strong. Samsung has already explored prototypes of cell phone chassis that double as antennas, he said. Further down the line, Liquidmetal technology may be used to make nano-scale computer chips or extremely high-density memory technologies. When mixed with gold, it even has potential as an exceptionally durable jewelry material (PDF). 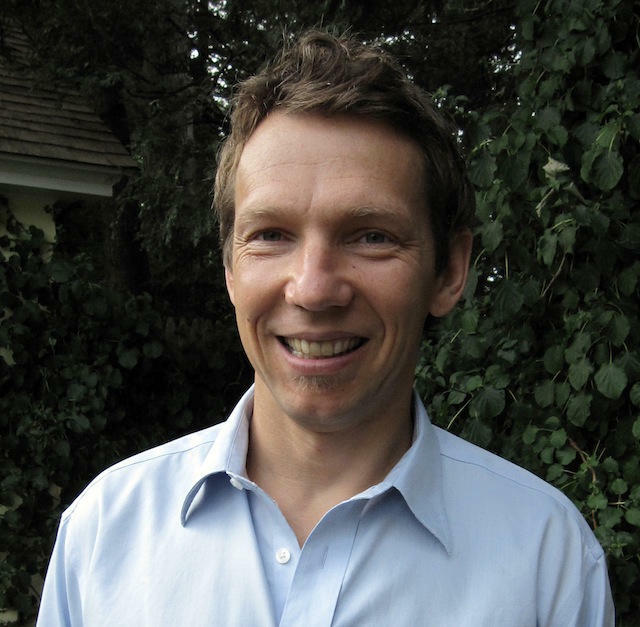 Dr. Jan Schroers of Yale University. Schroers was previously director of research at Liquidmetal Technologies.